This piece of the white mineral quartz comes from Coromandel Peninsula. 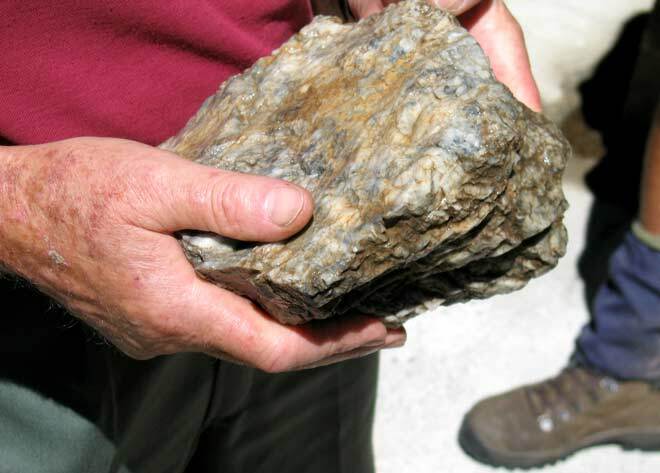 It is typical of the ore that is crushed and chemically treated to recover gold and silver. Individual gold and silver grains are not usually visible to the naked eye.